“Train Spot and Wave Rider’s energy and passion for electronic music: that is The Third Rail. 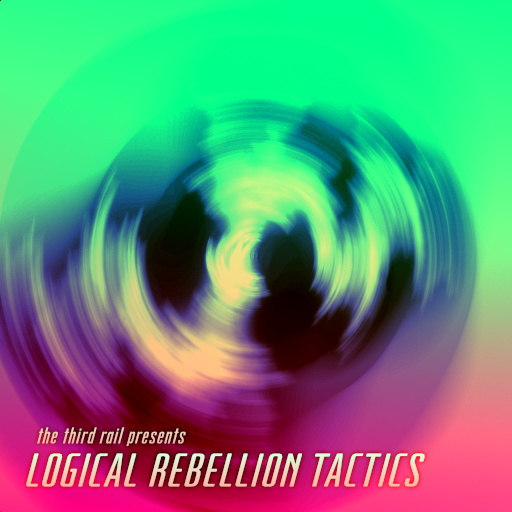 Today, we’ve released our debut EP ‘Logical Rebellion Tactics’. We’ve been experimenting with combinations of our contrasting styles for quite a while, but now I think we’ve hit the sweet spot. The Third Rail is not just a one-off collaboration; we’ve already got more material on track for a release later this year, and we’ve already got some dates planned for the new live show we’re developing. Mareami, Tampa Neigh, New Oreins, Los Alicorns, Seaddle, Las Pegasus, et cetera. First the United Stables, then the world! We don’t just want to vacation to Galaville, we want to perform there! The Spring Renaissance is a carnival which celebrates the impending arrival of Spring. It is more commonly-celebrated in warmer regions, mainly because they don’t have as much Winter to wrap-up as everypony else. However, the most well-known version in Amareica is held in New Oreins – a city with a heritage of settlers from Prance, and unique royal traditions that still exist to this day. It is typically celebrated through various masquerade events organized by social groups known as Guilds, including dances, and, more prominently, parades. 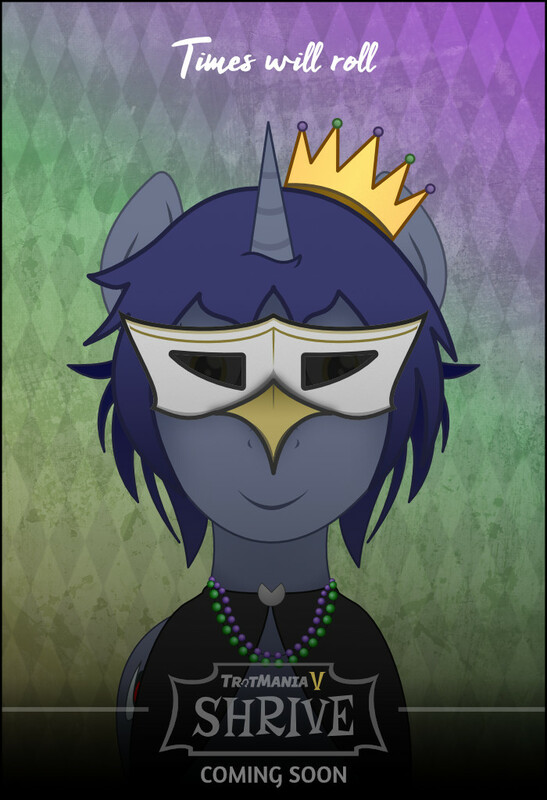 Despite the historical significance of many aspects of this celebration, no two ponies play it off with the same level of seriousness; many use it as an excuse for partaking in wild parties, excessive LARPing, dressing up like royals, and other mischief. But some embark on a quest for a chance to become a ceremonial Noblepony – one of the city’s most prestigious honors (besides being the honorary royal couple, of course). The Spring Renaissance is most popular among locals, but it also attracts tourists from around the world – especially in the days leading up to its grand finale – Renaissance Day – which always falls on a Tuesday in February or March. But out of all of the questions you’re asking yourself right now, there’s one that probably sticks out the most: how did our favorite villains (and heroes) even get here? 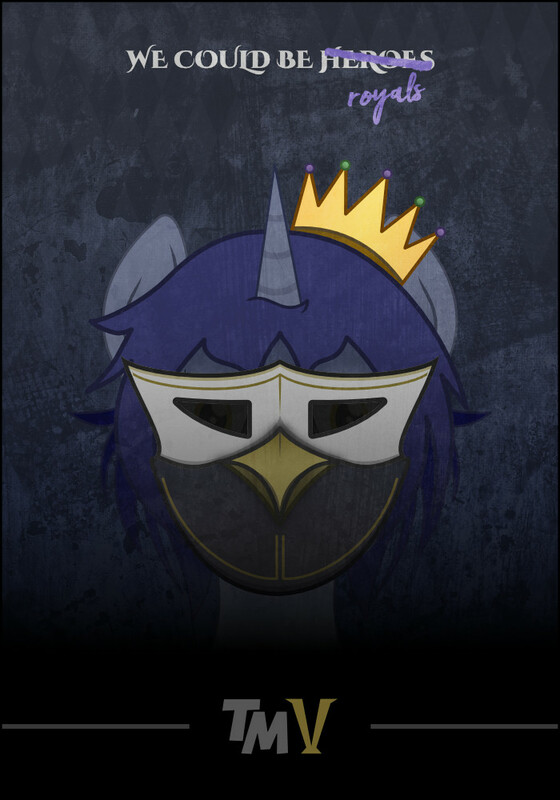 Fillies and gentlecolts, we are going medieval. Welcome to TrotMania V: Shrive. I think it’s pretty obvious what this version’s theme is, especially if you realize why it was unveiled today in particular (It’s Carnival, Mardi Gras, etc.). It’s underrepresented in fandom artwork (excluding stuff marked as “Questionable” on Derpibooru; it’s clear where everyone’s real priorities are, but we hope to change that), and will give TM V a brighter and more festive atmosphere over the darkness of III and the grungier feel of IV. However, there will be notable continuity between Shrive and Euphorius; if you’ve been reading the most recent Embers Fall chapters (especially one which was posted just last night), you may have noticed that New Oreins has some representation out in Neighvada, in more ways than one. Given our choice of terminology, this version of the event will emphasize its medieval overtones, but still feature some of the hallmarks of the real-world version. These elements have, in turn, influenced some of the most ambitious ideas we’ve ever had for TrotMania, period. With that in mind, we can’t wait to reveal all the twists and turns we have in store. No matter how ambitious our plans are, there’s always one goal at the top of our list; to showcase the fandom’s best musical talent. We’ve been doing this since day one, version I, and we’re not slowing down just yet! In real life, it would take 34 hours, driving nearly 2,230 miles, to get between the locations where IV and V were held, so there’s a long road ahead for all of us – both literally and metaphorically. Either way, TrotMania has and always will be a volunteer-driven, fan-run project, so we’re looking for new members to join our team. We have opportunities for steppers, artists, as well as musicians this time around; for more details, inquire on the TrotMania Discord channel on PonyvilleFM, or the “Join the Herd” section of the forum. We also have a song suggestion form, where you can submit music (either suggestions from others, or your own) for consideration by our team. We do not currently have a target for when Shrive will be released, but we know for sure it will be sometime in 2018. The fandom has been experiencing a renaissance of its own, and we want you to be along with us for the ride!